After seven years of construction the Elbphilharmonie has now opened. 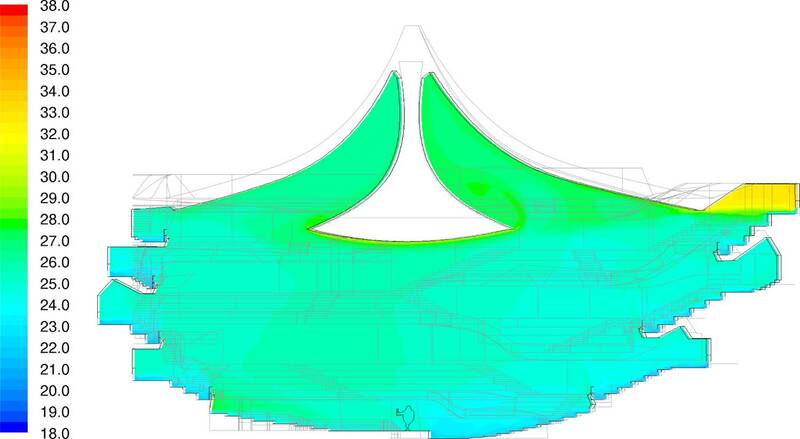 Our work started much earlier - above a visualization of the room temperature from 2005 when we started on the concept. "Like a giant, seafaring ship with rippling sails of glass instead of canvas, and a brick base instead of a wood hull, the new Elbphilharmonie commands the harbor of Hamburg’s still active port in northern Germany. The concert hall, hotel, and apartment structure designed by the Swiss firm of Herzog & de Meuron (and local architects Hohler + Partner) sits at the western tip of HafenCity...."